All 3XSERIES tapes are of JIS grade 1st which ensures very accurate measurement. 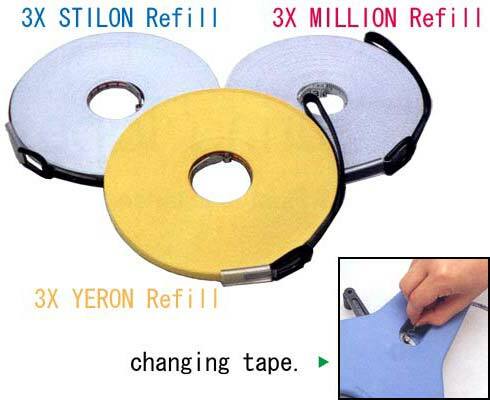 Because of special gear system for 3 times quicker winding speed, in case of winding too fast, the beginning part of tape returns at very high speed by the influence of inertia. Therefore, please slow down winding speed a little for safely for a moment before tape completely returns.